The adidas EQT Support 93/17 made quite a run in many sneaker of the year discussions at the end of 2017. It appears as though the Three Stripes is looking to continue that trend, adding a new “Scarlet” colorway to the line up. 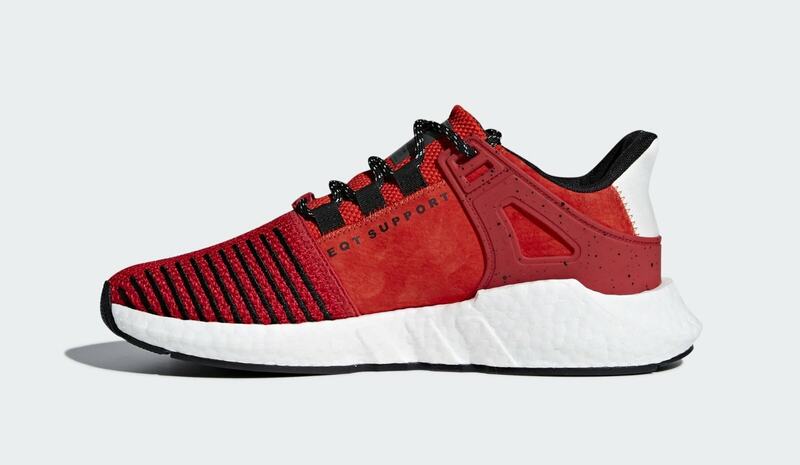 Adidas is looking to build the EQT 93/17 even higher this year, premiering a wealth of new colorways including this new “Scarlet” rendition, a first for the shoe that finds it draped almost entirely in red. The mesh upper on this pair features the simple red color, while the leather panels on the lateral and medial sides are made to match. The traditional webbed EQT stripes on the lateral side streak across the upper in a sleek black, holding in places the dual tone black and white laces. 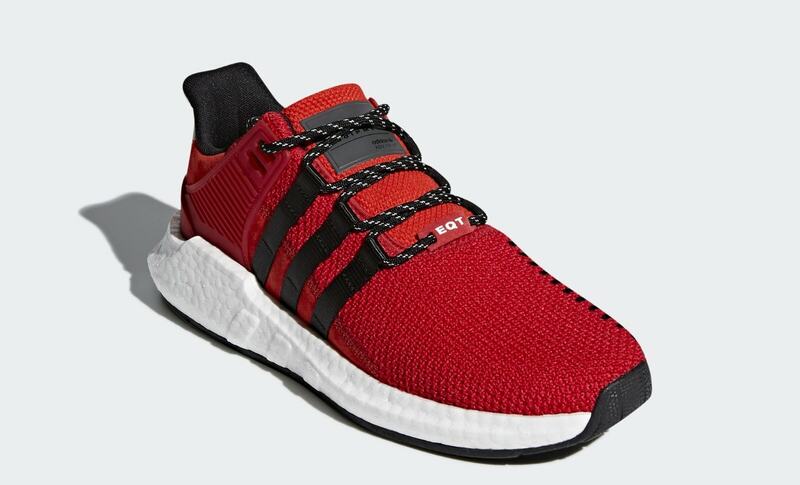 At the forefoot, a red EQT badge keeps the laces from sliding around. 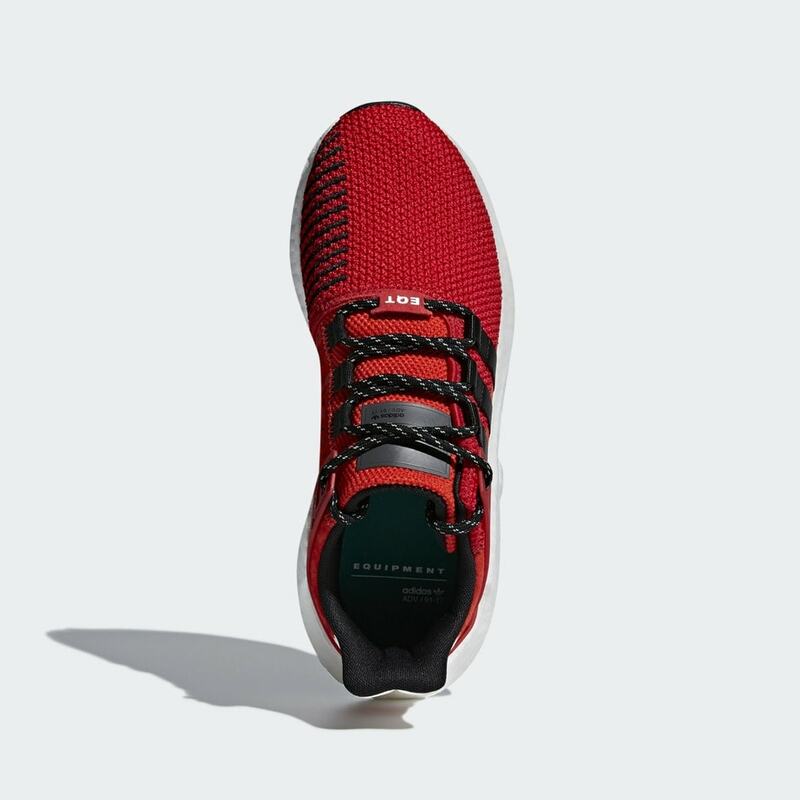 The TPU plastic support cage that wraps around the outer heel is also matched to the red of the upper, though with slight details. The lateral support piece features a plain scarlet red, while the heel and medial piece are red and speckled with bits of white and black, adding some much needed contrast. 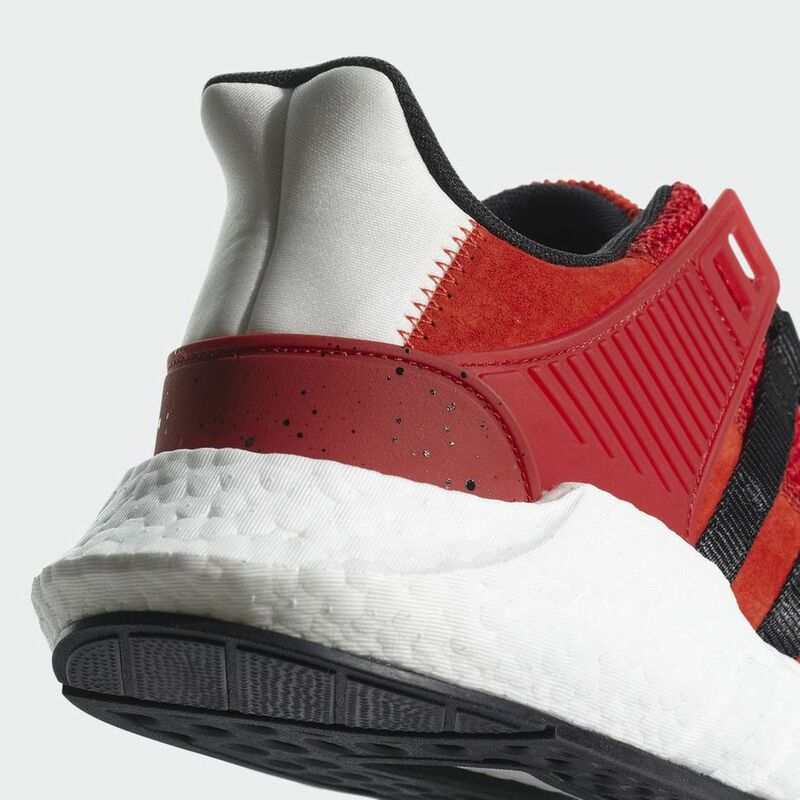 The “Scarlet” EQT 93/17 is finished off by a white heel and Boost, and black sock liner and outsole. 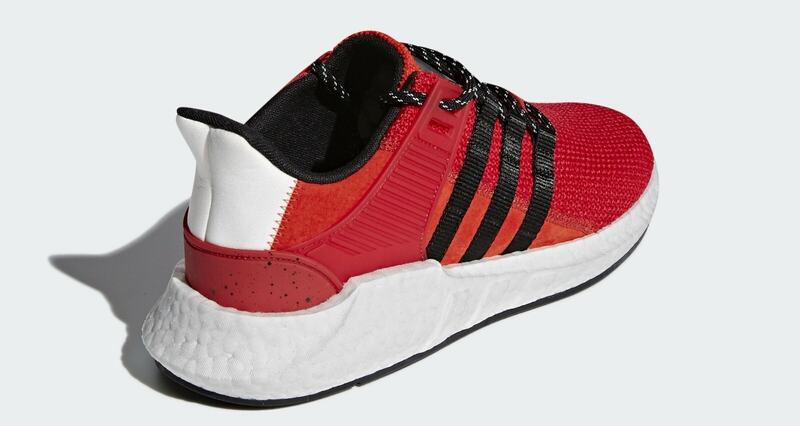 There is no word on an official release date for this “Scarlet” adidas EQT 93/17 though they are anticipated to drop soon, and in tandem with another “White Cement” EQT 93/17. 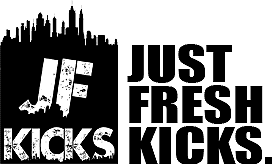 Check out the images below for a closer look, and stay tuned for more updates.